Rainbow Precision Products represents a number of leading manufacturers in the metric and standard bearing industry. These manufacturers offer many sizes in metric and inch dimensions that conform to ABEC-1, ABEC-3, and ABEC-7 precision tolerances. We carry Barden, Koyo, INA, Nachi, Timken, SKF, NTN, MPB, MRC, New Departure Hyatt, and FAG bearings, among other manufacturers. With multiple stocking locations throughout the US, we can ship same-day on most orders from the nearest location, saving time and freight costs. For emergency situations when you need to get up and running again ASAP, we offer overnight delivery. Almost any bearing made in the United States or abroad can be delivered right to your door. We have available a Class 1000 clean room for specific bearing lubrication requirements. Capabilities include custom fill in MIL-SPEC, Electric Motor, Fishing Reel, high- or low-temp greases, and oils, to meet any application requirement imaginable. Rainbow Precision Products is your all-in-one shop for metric and standard bearings, power transmission, and material handling products. We offer many more products than those listed here, and regularly add new products to our inventory. If you’re looking for hard-to-find products, contact us and we will search our available inventory. Order the linear bearings, linear shafting, FAG bearings, and other bearings you need online, or request a quote. 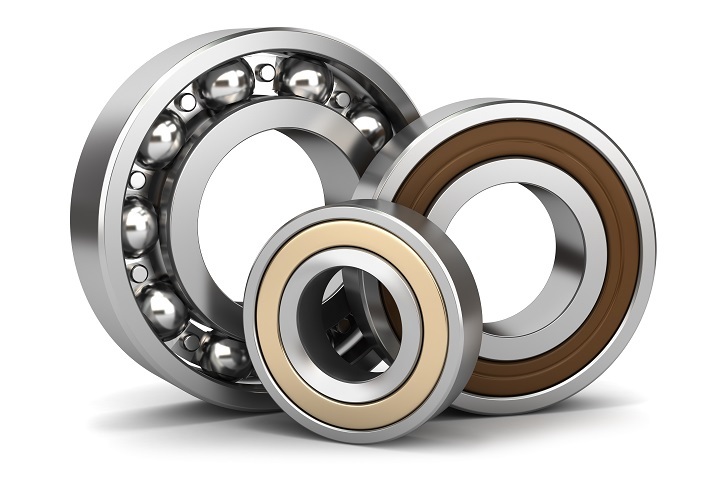 If you can’t find the right bearing for your application, or need assistance deciding what your application requires, please feel free to contact us.